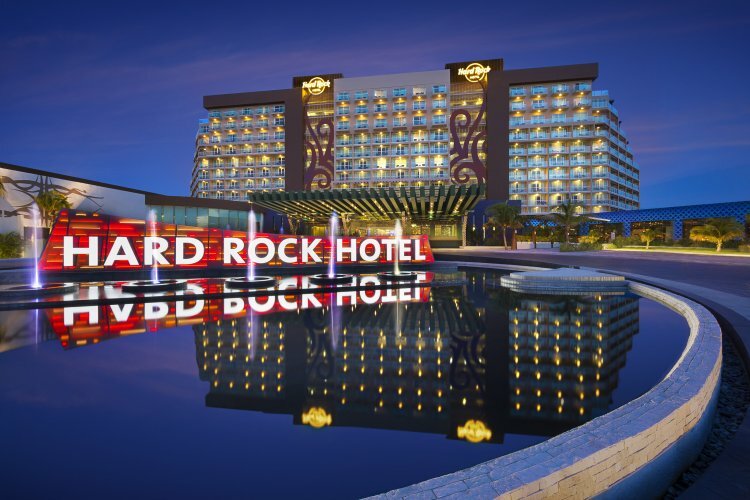 Hard Rock Cancun is an All Inclusive resort set near the beach. The location is close to attractions such as Aquaworld, La Isla Shopping Mall and Playa Ballenas. 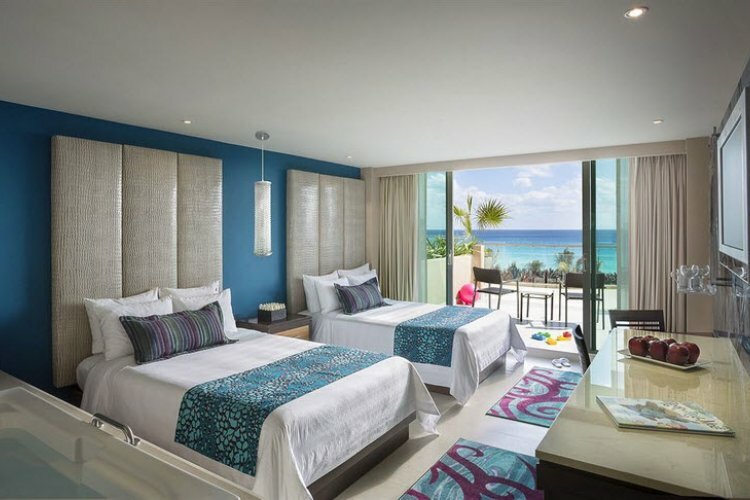 There are a variety of rooms to choose from at Hard Rock Cancun featuring amenities including stunning ocean views, private balconies, hydro spa tubs and other luxury room comforts. Each room also offers 24 hour room service. Enjoy the all inclusive experience with an amazing choice of 9 restaurants, ranging from Italian fine dining, Asian cuisine to Brazilian steakhouse, Mexican a la carte and International buffet. There are plenty of activities to enjoy and there will be something for everyone. Being set on a beachfront location means that there is easy access to enjoy a number of water sports. Guests also have access to facilities at the resort including tennis courts, basketball courts, gym and more. For relaxation, guests can unwind poolside with a cocktail in hand at the pool bar, or try out the Rock Spa, offering body treatments, massages and facials. There is also a beauty salon for a spot of pampering with beauty packages available. "28C+ great temperature to sun bathe but also could comfortably do site seeing." "Great , 28 to 30 degrees most days , even though rain was forecasted on some days never saw any !!" "Hot - between 34 and 40c"
"Hot with as few rain showers"
"only a couple of rainy mornings, but very hot"
"Rained for 10 minutes of of two weeks!" "Very hot! Little rain but was gone within 10 minutes"
"Hot and very humid. 30°c"
"The weather in October is hot and humid. Definitely ok to go and sunbathe pleasantly in. The beach/water is just perfect and essential for cooling off! There may be the odd rainstorm which only ever lasts literally 5 mins and gives you a chance to nip for a drink under the shade!" "temperature was lovely but it rained more than we woudl ahve anticipated."